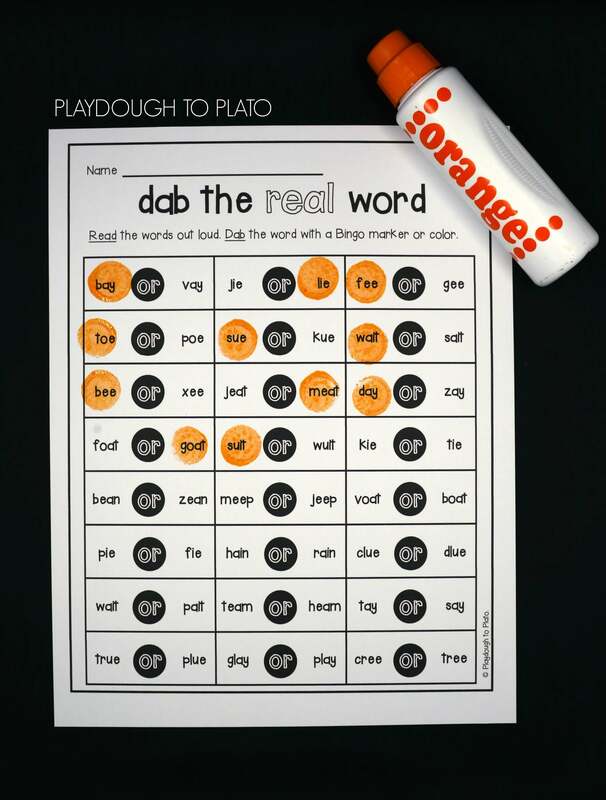 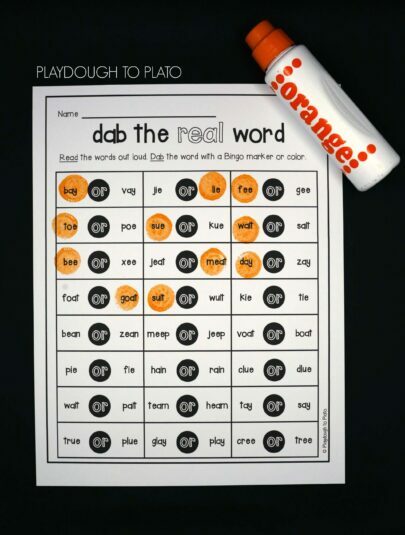 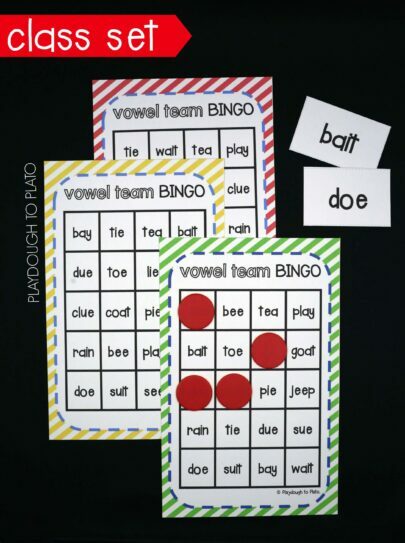 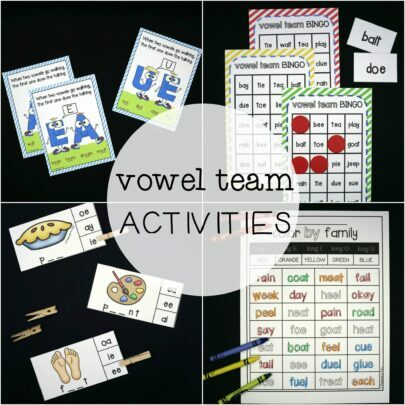 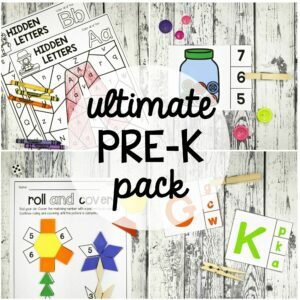 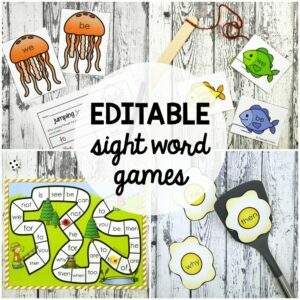 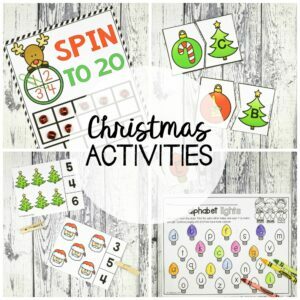 Our vowel team activity bundle is packed with motivating games and eye-catching posters teaching kids nine of the most common vowel teams:-ie, -ee, ue, -ae, -oa, oe, -ui, -ay, -ai. If you’re helping kids learn what happens when two vowels are written side-by-side, explain that when two vowels go walking, the first one does the talking and the second one goes out for tea. 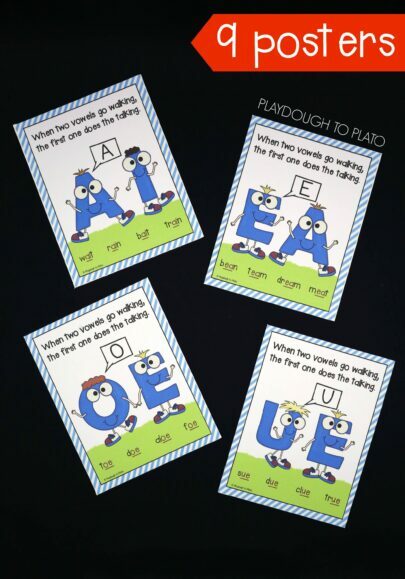 I’ve included a set of memorable posters to help the concept really stick. There’s one for each of the nine vowel teams included in the set: -ie, -ee, ue, -ae, -oa, oe, -ui, -ay, -ai. 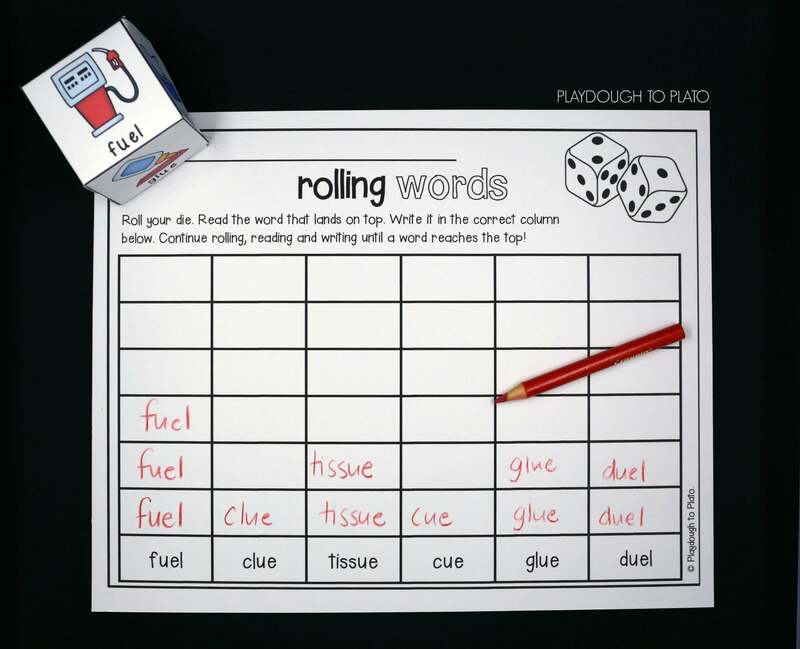 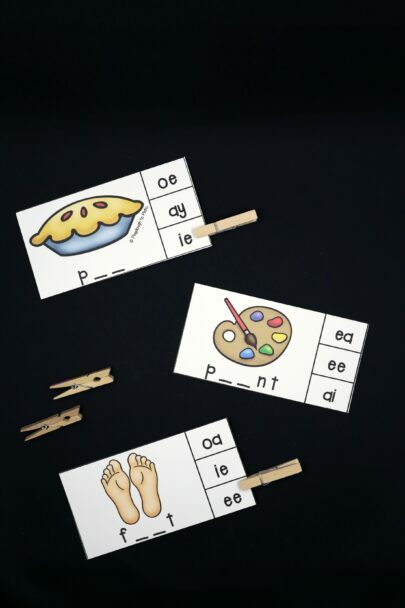 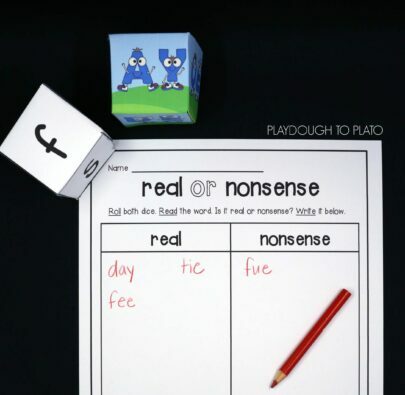 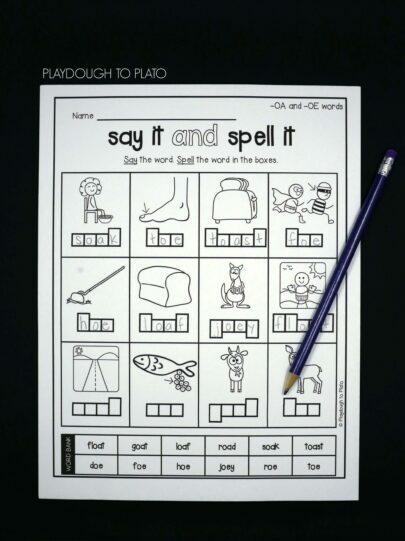 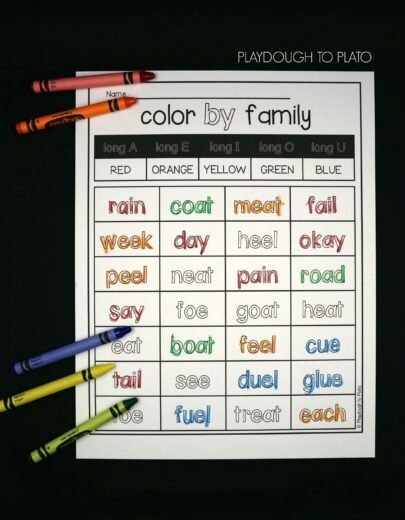 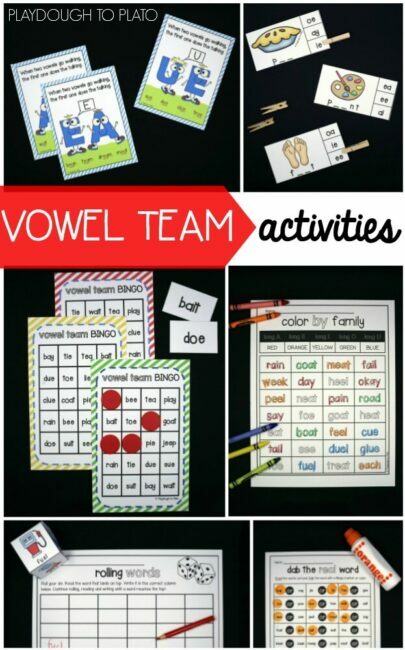 “Great for struggling second graders as a reminder of these vowel sounds! 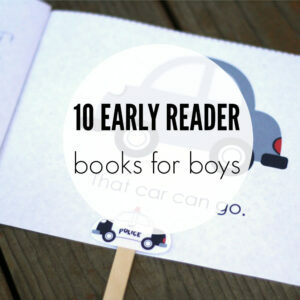 Very useful!” – Tracy H.